The first Bear Scents Blog Ever!! Well Folks this is it, our first blog ever. There is so much I want to cover in the next few months as the fall baiting season heats up. This is a great way for us to discuss baiting technique and proper scent usage. I hope that the discussion spills over to the Bear Scents Facebook page. This is it here we go!! Whenever someone decides to start a bait site several factors come to play. The first should be the selection of bait. The things that need to be considered is the amount of bait needed, storage area for the bait, and also if the supply will continue or will you need to switch later down the road to a different type of bait. All of these factors must be considered and in all of the upcoming blog posts you will find a very common theme “Think big picture”. What does that mean? Well simply take all things in consideration before you start. Have a plan implement that plan and stick to the plan. Often times we have customers call and they out of bait or need to change bait during the “Hot” time for baiting. Yes it happens and it can be overcome but you will see a slow down for a few days. This is a unnecessary event that does not need to happen. Once a bait goes dry and a bear visits the bait site and no type of reward was receives for their effort the bait will become a low priority. This means that a simple unnecessary event has just cost you a bear off of your site. So be mindful of what is happening with the bait. Think big picture,you are not the only source of food for most of these bears. You in most cases do not have to compete against the bear. You have to compete against your neighbors so having a well thought our plan is crucial. There are to many variables in hunting and the items that we can control we need to be sure that these items are being managed accordingly. During your scouting time be mindful of the surrounding and think of how the scent will travel and use technology to help you. We help our customers from here in Wisconsin simply by looking at a overhead satellite image of the area. Then we cross reference that with the weather service wind values and speeds for the last few weeks. This gives us not only a birds eye view of the surroundings,but it also will hopefully tell us how our scents will preform. This also determines what type of scents we should use. What type of trees, what type of elevation, and what type of rock faces or outcrops there arein the particular area all of this tells us would type of scent is beneficial. For example when in the western states such as Wyoming there is vast amounts of ground to cover so ” Big Paw” works real well. It is a burn type product so it allows us use the air to broadcast scent. That is totally different then the hunters in Maine where the brush is very thick and there is less airflow through the trees. 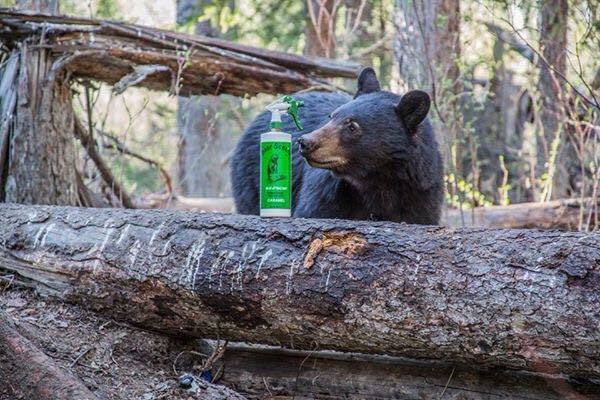 Then our Bear Scents Spray work very well for that application. We are not only committed to the health and population of the american black bear but we are committed to our customers success and producing quality products. We will continue next week have a great week ! !